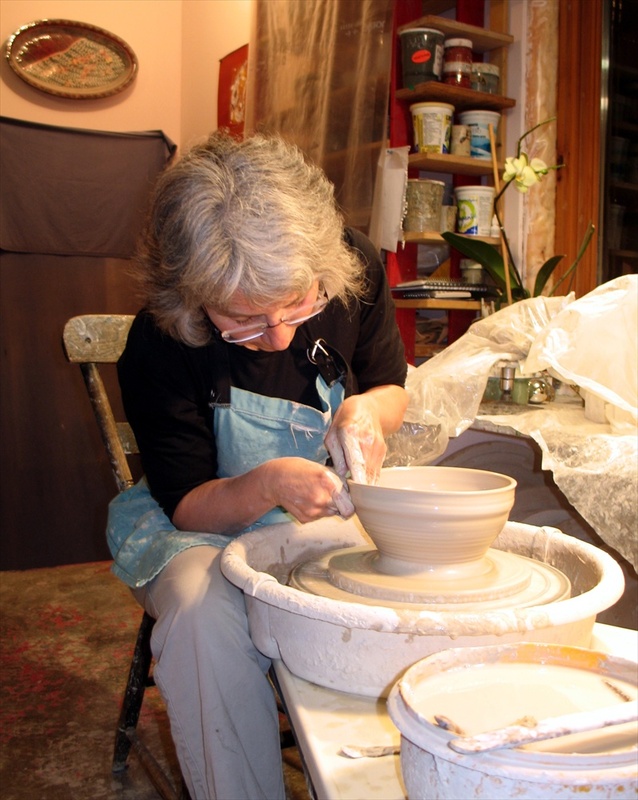 For potters who throw on a wheel, there are really only two shapes to choose from—bowls or cylinders. Every other vessel is a variation of these forms. A plate, for instance, is basically just a flattened bowl. A cup is a cylinder, as is a vase or a water jug. Maureen throws them all, but she is happiest making bowls. 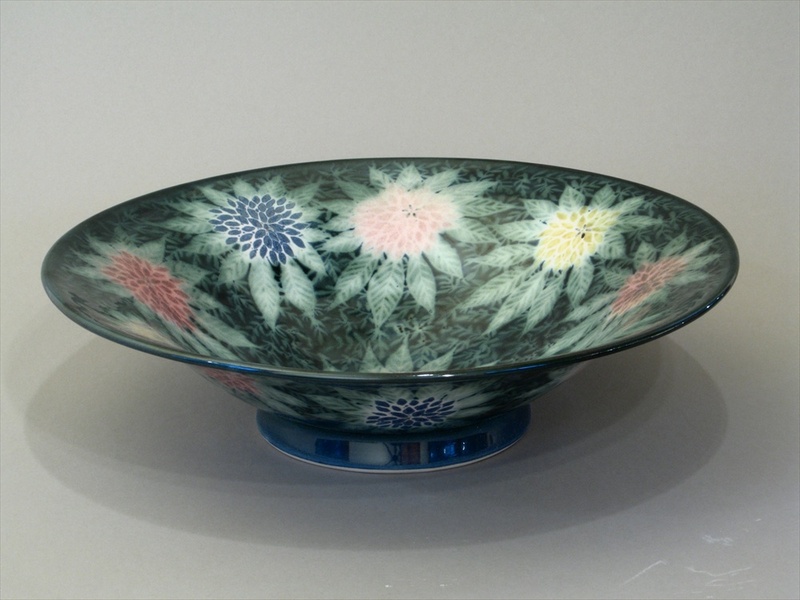 Once you are aware of the bowl’s rich past, it becomes impossible to forget it. 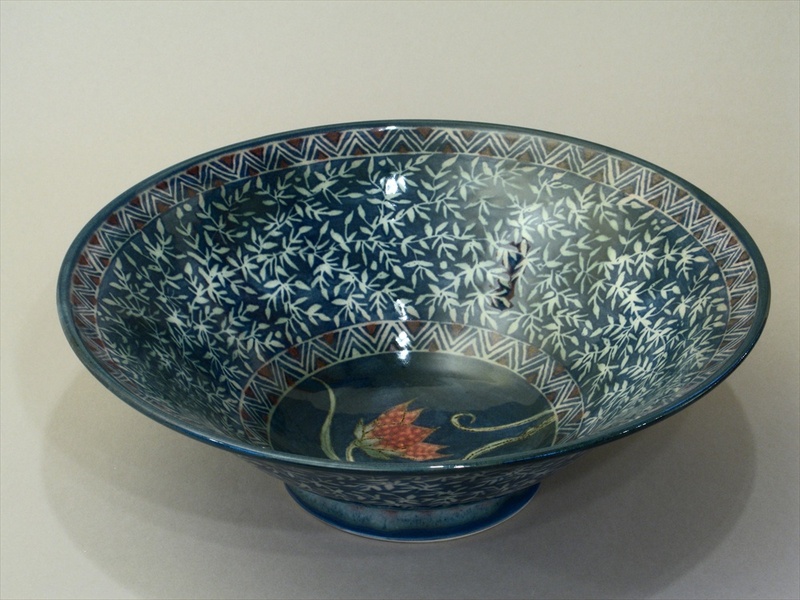 According to potter and writer John Britt, in his introduction to 500 Bowls, the bowl may be the first ceramic dish ever made. And that was about 10, 000 years ago. Britt suggests that, like many great discoveries, the bowl may have been the result of an accident, specifically the unintentional burning of clay-lined baskets. 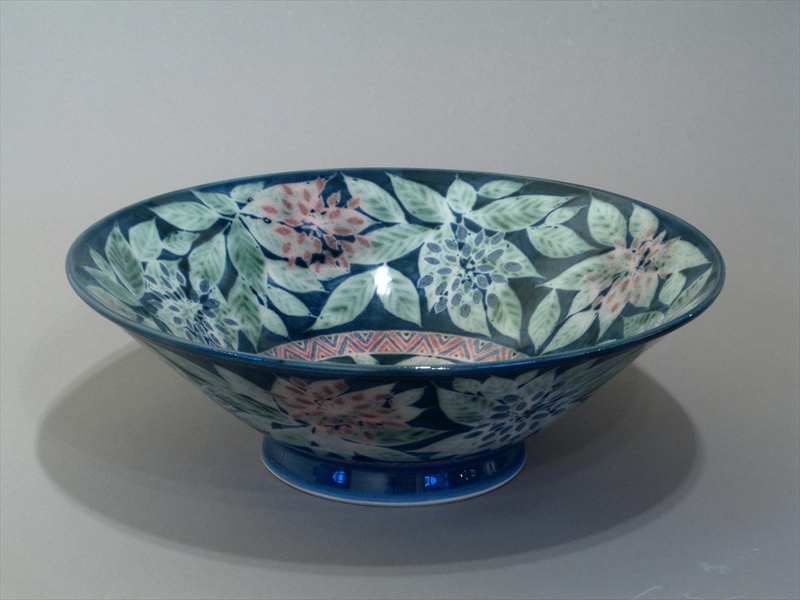 Since its invention, the bowl has swept through time and space, playing a crucial role in virtually every society in every age—Japanese tea bowls; Tibetan singing bowls; Homeric heros’ bowls of wine at feasts; the Sumerians’ crude, bevel-rimmed bowls of uniform size used to measure out grain as currency; bowls for libations to Greek and Roman gods; the Buddha’s begging bowl; Oliver Twist’s empty bowl; Carl Jung’s idea of the bowl symbolizing the womb and a sense of security.The list goes on. Mostly, though, bowls hold food, and for Maureen, that is their most important use. 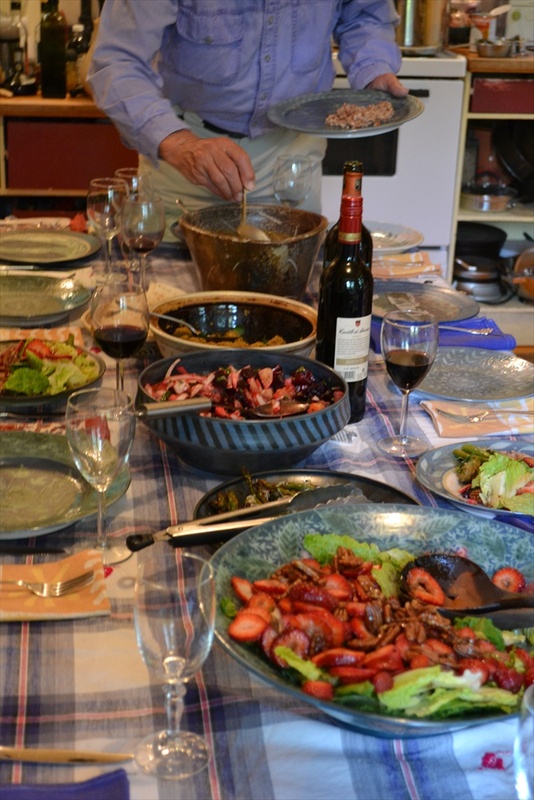 Anyone who has ever eaten at the McKenzie Marcotte house, or even stopped in for tea, can attest to Maureen’s cooking abilities, as well as her generosity as a host. The visual element of a meal is as important to Maureen as any other. When she makes a salad, for example, she carefully considers what bowl would display it best. Similarly, when she makes a bowl, she determines its size, shape and colour based on what kind of food she imagines it holding—a beet salad, a bunch of cherry tomatoes, muffin batter, soup, a green salad, yogurt and fruit in the morning. Food is something to celebrate, she believes, and what better way to show our appreciation for good food than to display it in a carefully crafted, carefully decorated bowl that enhances a meal’s aesthetic qualities just as spices intensify its flavours. Also, bowls are just more fun to make, explains Maureen. There is a liveliness and an ease to throwing bowls that you do not get throwing a cylinder. It all lies in centrifugal force. When the pottery wheel is spinning, the clay wants to move outwards from the centre. To make a beaker a potter must force the clay upwards, contrary to its natural inclination to open up and out. Since a bowl naturally opens outwards, you simply guide the clay as it finds a shape. Under a light, quick, practiced touch, bowls just spring to life. When it comes to decorating bowls, Maureen will often decorate both the inside and out, size permitting. She does this so that the decorating becomes an intrinsic part of the piece. If only the outside were decorated, for instance, the viewer might focus on the lack of decoration on the inside, not on the wholeness of the piece. 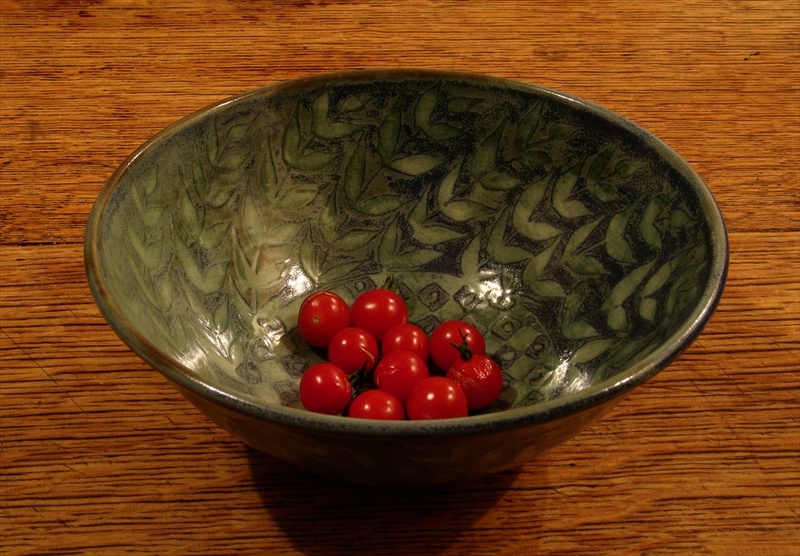 There is also a richness and generosity to a fully-decorated surface that fits the open, giving shape of a bowl. Bowls are empty as often as they are full. Ours are stacked up, ready for use but not always used. But it is the possibility of what a bowl can contain that makes it forever dynamic. It can change with its contents. The colour of food it holds will affect the colour of its decoration; the quantity of its contents will affect its perceived size; even the mood of the people sitting around it—their hunger, their tastes—might make it look brighter, or larger, or more open. When you really think about what a bowl means—hospitality, practicality, openness, history, symmetry and pure enjoyment— you realize a bowl can hold food, yes, but in its trek through the ages, the bowl has grown into something much larger—a form capable of holding an endless volume of meaning. Allegra your words bring me right to the kitchen table, anticipating delicious food and admiring your mom’s (and dad’s) incredible creations! Thanks Karina! Again, I’m looking forward to the time (hopefully sooner rather than later) when we can sit around the old table again. Allegra, once again, a marvellous revealing of the many layers shaping a simple pot, including the thought, care and, yes, you’ve picked the precise word – ‘generosity’ — that enlivens Maureen’s bowls, whether they’re empty or full. Thanks Mary Lou. 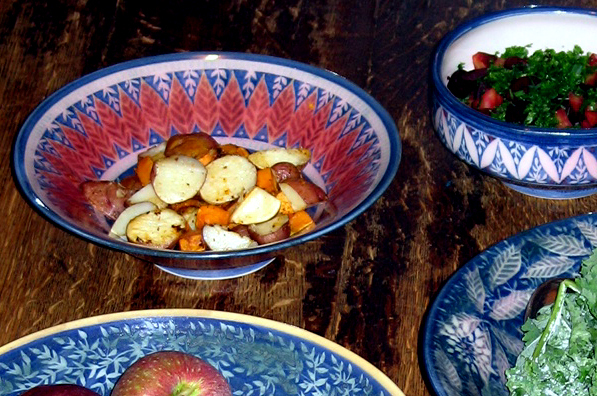 It’s amazing to think about how many lively dinner parties we’ve enjoyed over the years using those bowls. I love this post so much. 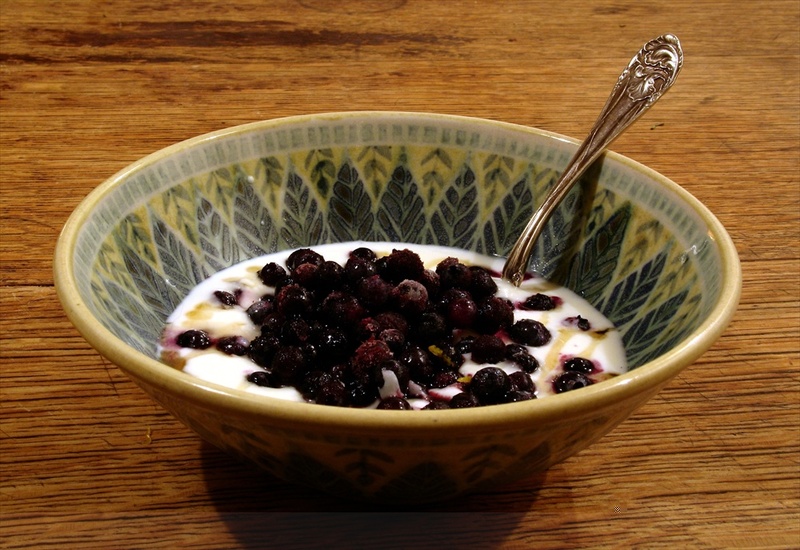 I shared it on my pinterest board of bowls! round and round, holding that which is containable in our lives. Thanks Allegra and of course Maureen. Thanks Marie. I’m really enjoying your comments. Thanks for such thoughtful readings.